Published on April 27, 2009 in food and travel. 0 Comments Tags: bacon, Buttermilk pancakes, Dunhill Cafe, food, New York, NYC, scrambled eggs. 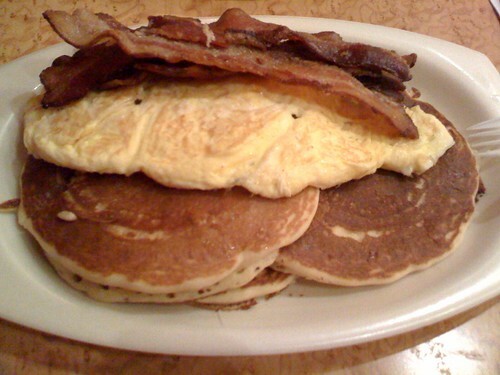 Buttermilk pancakes, scrambled eggs, bacon at Dunhill Cafe, originally uploaded by !!! :: jozjozjoz :: !!!. Uploaded by !!! :: jozjozjoz :: !!! on 27 Apr 09, 9.53AM PDT.